April Foo---- "KABOOM" There Goes My Wallet Again! 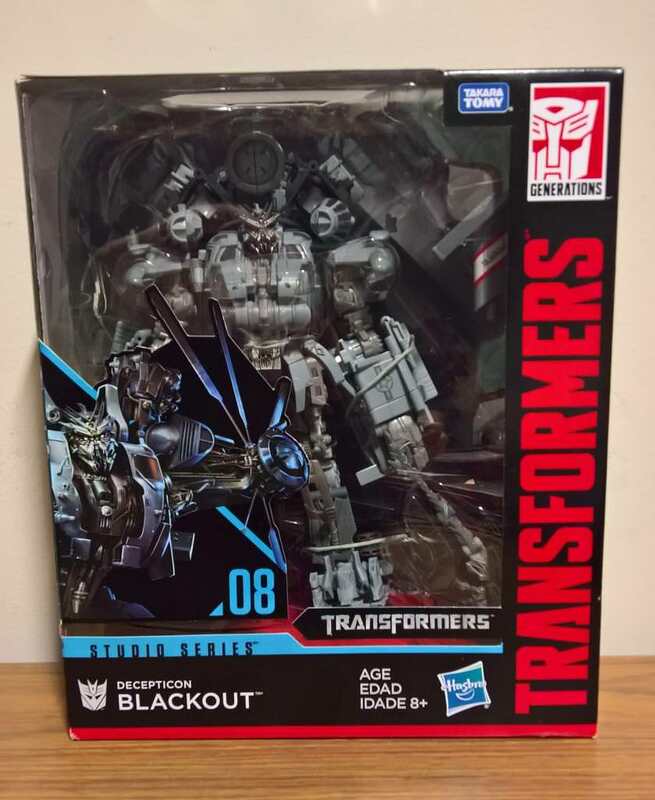 Got Studio Series Blackout (which wasn't in the system so they scanned the price as a TR Voyager) and Starscream from TRU Casula. Never thought I'd buy movie figures before, but I imagine them being part of some Quintesson Bounty Hunters grouping should I one day have shelves to display things on. Caved and got Studio Leader Grimlock, Voyager Optimus, Crowbar and Ratchet at TRU. That’s the Studio stuff done with now. Yesterday I got BH Rip Claw at Supanova. The price was $50 but I haggled it down to $39. Jeepers! I remember when I couldn’t give these things away to people. ....some of them I still can’t. Surely you could give away Ripclaw. She never made it to this country and is therefore among the most prized in the BH series. AoE Hound, Classics Mirage, and DotM Powerglide from Perth Nexus Collector Fair. $35 for three figures I've always kinda wanted, but wasn't quite sure about. Gotta say, pretty happy with them. Should have bought Mirage about 11 years ago!